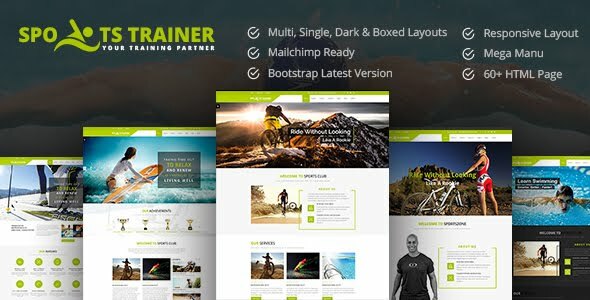 SportsTrainer is a library for Sports, Health, Gym & Fitness Personal Trainer HTML5 Theme with predefined web elements which helps you to build your own site. This theme is suitable Male and Female Personal Trainers. SportsTrainer theme has a fully responsive layout. It fits perfectly on various displays and resolutions from regular desktop screens to tablets, iPads, iPhones and small mobile devices. This theme is built with Bootstrap 3.